Music: Why isn’t jazz more popular? Why Isn’t Jazz More Popular? 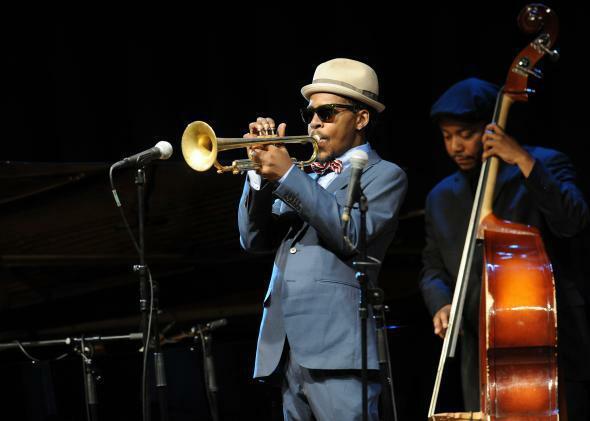 Jazz trumpeter Roy Hargrove performs in 2012 in Prague. Many of these answers are excellent; I think they largely suffice to explain why jazz isn’t more popular. But I think one controversial dynamic has gone unmentioned: race. Because this question is not really about the absolute popularity of jazz—after all, why isn’t classical music more popular? or polka?—but about its declining popularity. So why is jazz not as popular as it once was? I think it’s mostly due to hip-hop’s rise as the preferred authenticity-signaling genre for many white listeners. I believe he is implicitly referring to this era of American (and European and even Japanese) history: when cool audiences partially appreciated jazz because of its signifying power, because it indicated that they were “hip,” “authentic,” and enamored with a genre that put black creative expression on par with that of any tradition in art history. There are both good and bad sides to this, but the point is that loving jazz was (and sometimes is) shorthand for a certain kind of political-cultural position. The political context cannot be overlooked. From the Harlem Renaissance to the time of the Beats, jazz meant more than music for many audiences, and literature and movies from the era are hagiographical toward jazz artists not solely because they were geniuses—although that of course helped!—but because many people liked associating themselves with the aura of the scene: cool cats, counter-culture, Miles Davis walking off the stage as a real artist, etc. In the 1950s, liking jazz made you part of an elect group with appealingly progressive tastes and interests. Jazz is an awesome, original genre of highly sophisticated music developed in the United States. Critics and influencers in culture centers like New York City, New Orleans, Chicago, Los Angeles, and so on recognize its import and love it both as art and—through the 1940s and much of the ‘50s—as entertainment. There is also a political element to this, in some cases. Larger crowds love the entertainment but also love doing what critics and culture leaders love doing; they perceive “going to the jazz club” as a cool, sophisticated thing to do, and love the experience on many levels. For many in the crowd, the political angle is even more important than it was for critics. Jazz evolves, remains an artist’s art, continually seeks to challenge audiences, problematizing the happy enjoyment of the many even as it pleases some number of the few. Jazz becomes decreasingly accessible; danceable jazz vanishes (for leading artists, anyway) and discordant, atonal, arhythmic, or otherwise experimental sounds become more common. Jazz reaches a pinnacle of intellectualism, scandal and tragedy (including widespread drug abuse), deconstructed sounds and experimental albums—perhaps in the 1970s—just before hip-hop arrives in the 1980s. By the time hip-hop arrives, jazz is fatally old: It’s something one’s parents listened to. And now there is a new means by which youth can indicate that they are different from their mothers and fathers and white culture in general, a controversial genre that provides them with some of the racial and class exoticism many seem to seek. Moreover, it has lyrics, and lyrics are always preferable to instrumental music for the masses for perfectly sensible reasons (they understand words, know how to form and use them; they do not have this facility with saxophones or pianos). Through the ‘80s, ‘90s, and today, hip-hop evolves too, but not like jazz: Rather than growing more introverted and challenging it goes pop (not all of it, of course; challenging and/or deep hip-hop abounds). Now it’s possible for suburban whites to broadcast their multiculturalism and to feel connected to a vital, authentic, countercultural scene just by listening to well-produced, four-minute tracks with perfectly intelligible lyrics and familiar references. So while as many answers have noted jazz remains popular with its core fans, the “cool” of listening to it is now more easily had listening to hip-hop. At least that’s my speculative sense. Jazz simply no longer signals cool sophistication. A final note: New instrumental music is now overwhelmingly electronic, and electronic music is much easier to begin to make than jazz is; among other things, one can make it alone, with a computer, whereas jazz requires years of practice and training and then assembling a group, a space to play, and then trying to play live. As such, some of the musicianship-oriented listener base has fragmented for noncultural reasons and satisfies itself elsewhere. Related to this is that jazz was once musically contiguous with the music behind pop. For example: If you loved Frank Sinatra, you were accustomed to the sounds and production methods used by some jazz. Again, that role today is played by electronic music: If you love Kanye West, you are accustomed to the sounds and production methods of electronic music. As such, if you start making music or get into instrumental music, it will probably be electronic. It’s easier, more familiar, and is part of the popular music of the day. I think jazz has been mostly displaced by hip-hop and electronic music. Of course, many jazz musicians and hip-hop and electronic artists defy this observation and make use of one another’s genres. But jazz struggles a bit with this, as many jazz audiences do not want to listen to Squarepusher, while many Squarepusher listeners find John Coltrane quite palatable. The reasons why some genres develop formal sclerosis are hard to pin down, but have a lot to do with how repertorial they are. Music: How does the ‘shuffle’ option work in music player apps? Jazz Music: What do jazz musicians think of Whiplash (2014 movie)? Music: What TV show has the best theme song?